What’s a good way to spend a ridiculous amount of money in a 3-day span? 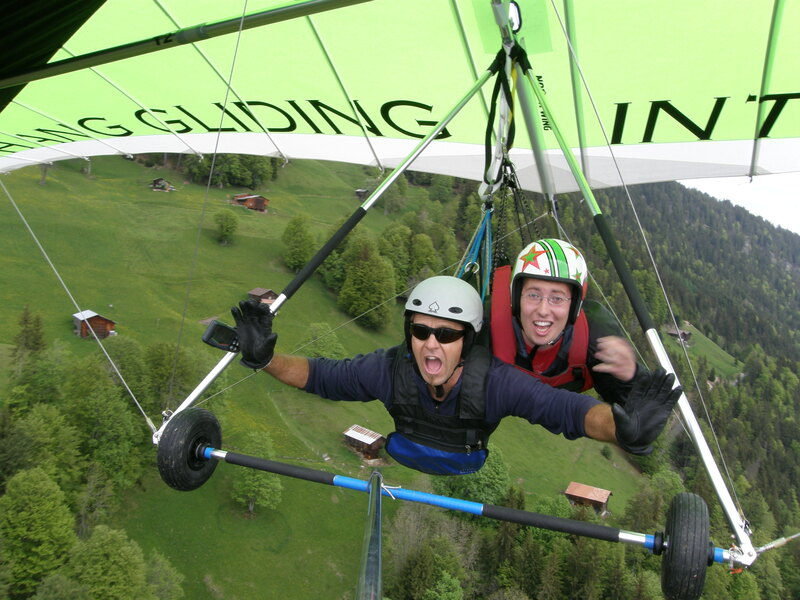 Hang gliding and canyoning, of course. 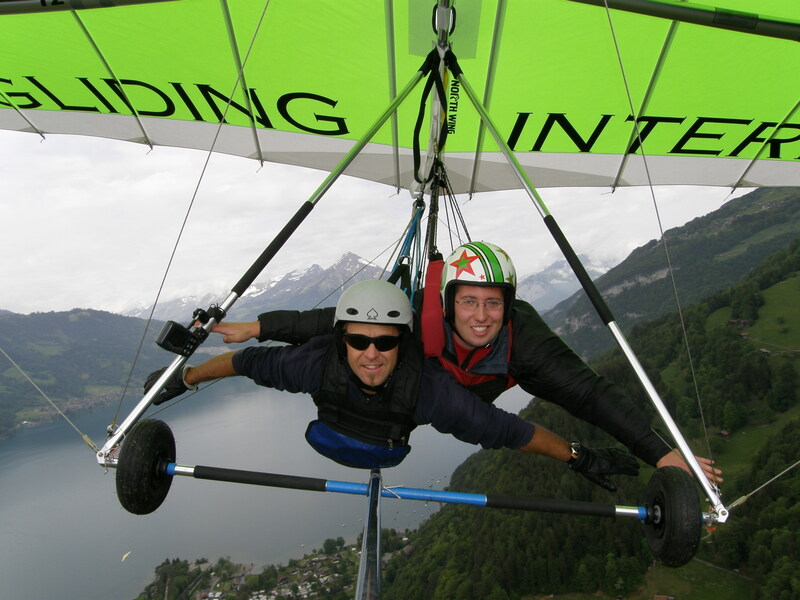 Hang gliding and paragliding are the 2 biggest sports in Interlaken. 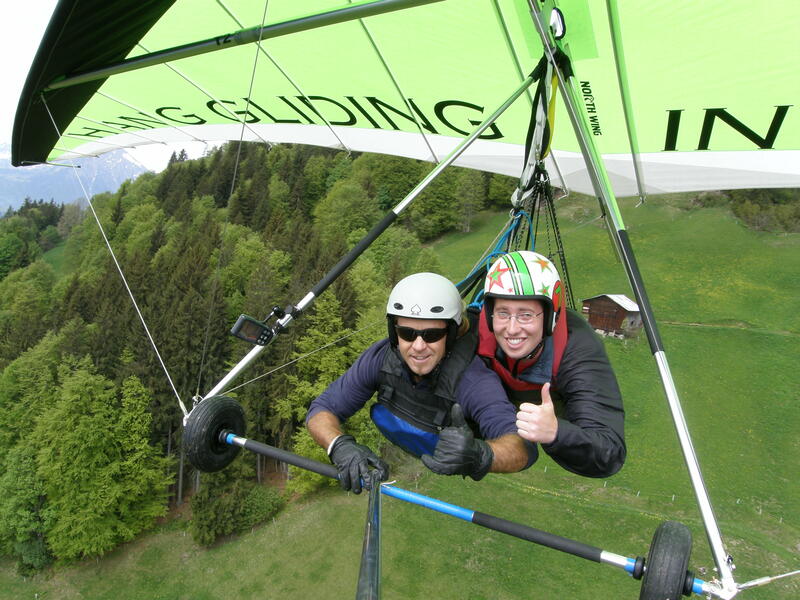 Hang gliding costs about $50 more than paragliding, but I think it was definitely worth the extra money. 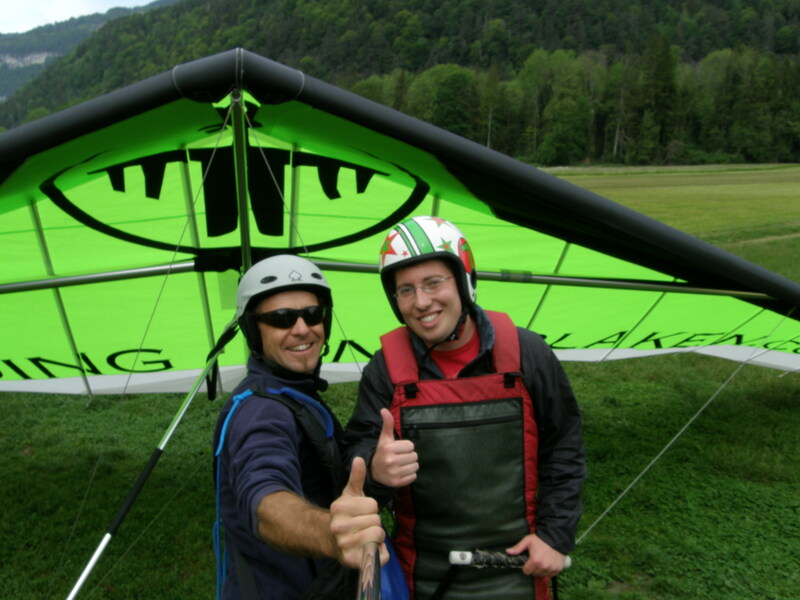 When you’re hang gliding, you’re positioned like Superman and it feels like you’re flying. It’s a pretty amazing feeling and I’m really glad I did it. 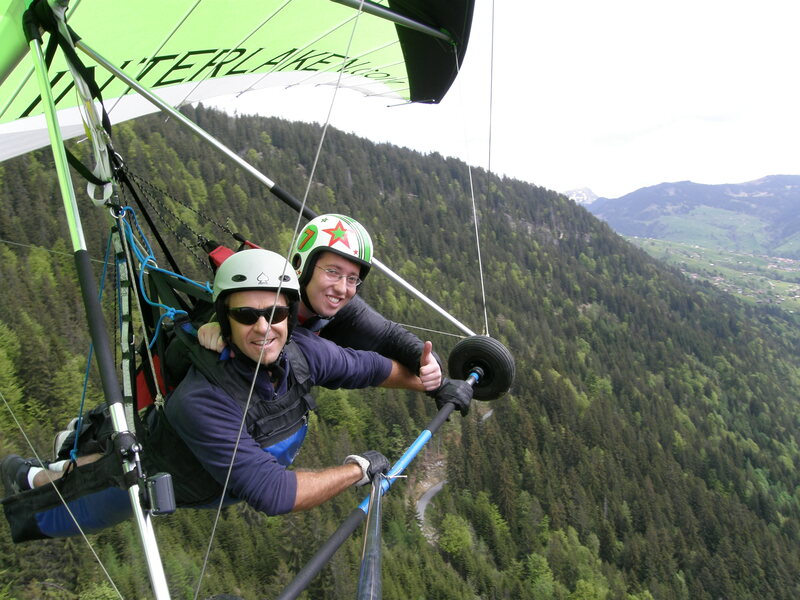 I was a little scared at first, but I quickly got over it. 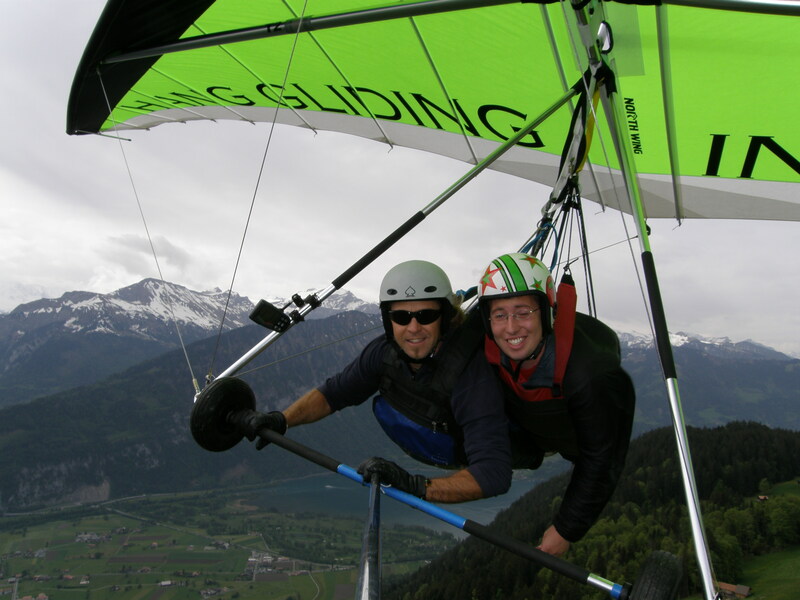 When you take off, basically what you do is just run down a hill until you can’t feel anything under your feet anymore. It’s a really cool feeling. 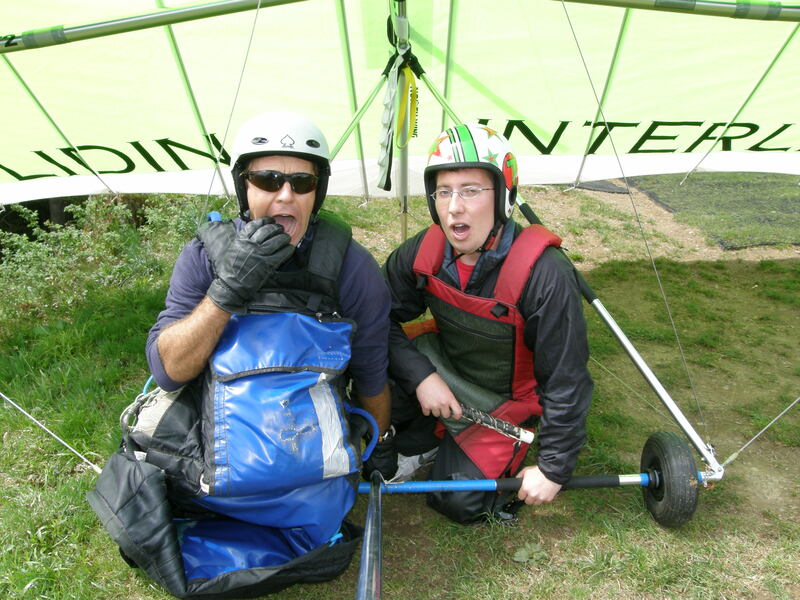 Then here’s a couple short videos of the flight.